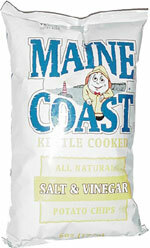 Taste test: Because these are on a kettle-chip, the vinegar doesn't taste as strong as it does on a regular-type chip. 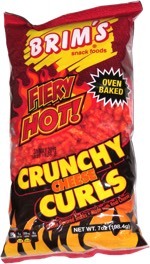 This has a good mix of the salt and vinegar, not too overpowering, a good aftertaste as well. You don't really taste the potato part of the chip. Smell test: Strong vinegar smell. Very vinegary.